This is a modality of ventilation that seems to utilised more and more frequently in our ARDS patients with refractory hypoxaemia. To be honest, it can be a daunting mode if you don’t understand the underlying principles behind it, so here is a guide to attempt to clear this up and make it more palatable, particularly when you need to set it up without support from those who are more familiar with it. As per ARDSnet, Acute lung injury (ALI) and acute respiratory distress syndrome (ARDS) require low volume, low pressure ventilatory strategies. What do you normally do if plateau pressures >30 and high PaCO2? It promotes lung recruitment of collapsed and poorly ventilated alveoli. The CPAP level primarily facilitates oxygenation. The timed releases facilitate carbon dioxide clearance. P-High – the upper CPAP level. Typical Screen – Bi-vent is just another term for APRV! Maintains the normal cyclic decrease in pleural pressure, which augments venous return and improves cardiac output. Progressively increase until you achieve Target PaO2. Start at 0 cmH2O to optimize expiratory flow. The large pressure ramp allows for tidal ventilation in very short expiratory times. Short enough to prevent derecruitment and long enough to obtain a suitable tidal volume. A tidal volume target is between 4 and 6ml/kg. If it is too high (>6ml/kg), the expiratory time is shortened. Automatic tube compensation (ATC) should be on. This can be determined by saving a screen and calculating peak expiratory flow. WHAT TO DO WITH IT ONCE GOING – ABG’s are the key! Reducing P High, by 2 cmH20 increments until the P High is below 20 cmH2O. Patients should be increasing their spontaneous rate to compensate. There is no evidence that APRV improves clinically significant outcomes such as mortality. It does improve physiological variables in animals and humans. My thoughts are varied. It certainly has physiologic advantages, particularly in the hands of an experienced team. But uncertainty remains and the vast majority may stick to tried and tested modalities of ventilation, backed by more evidence. The weaning alone is mildly anecdotal and worked for the team who broadcast it’s benefits. The subsets of patients we tend to put onto this mode are amongst the sickest too, so outcomes may be biased towards the bad end of the spectrum! 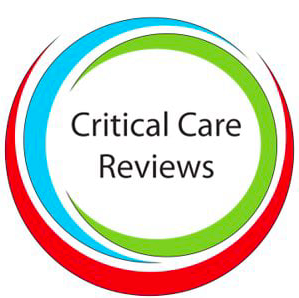 As we always say these days….we need more validation and more RCT’s. Thus statement, when used more than twice on a shift surely means you will only choose this mode when all else seems to have failed and not as a routine part of your ICU practise?